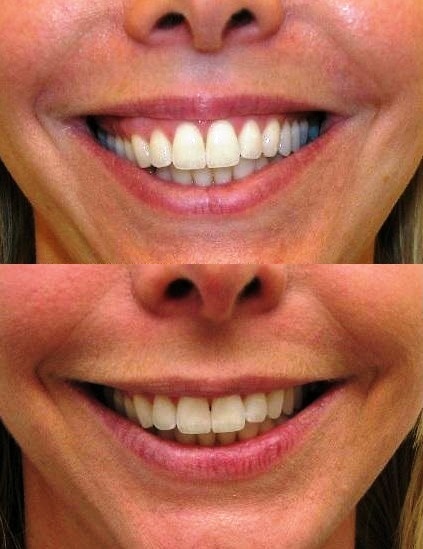 In the perfect smile, the upper lip sits just above the top teeth. But for people with a high lip line, as they smile too much of their gum is revealed, creating the gummy smile. 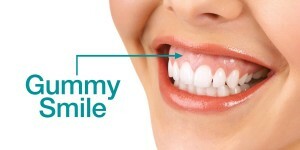 This unflattering appearance of highly visible gums AKA gummy smile causes many people with a high lip line to avoid smiling or place their hand over their mouth when they smile or laugh. contributes to the problem by exposing the upper gum even more. While for most people smiling is an expression of happiness, individuals whose gums stand out more than their smile does often feel self-conscious. Very often those with gummy smiles try to control and minimize their smile and some feel so self-conscious that they prefer not to smile at all. 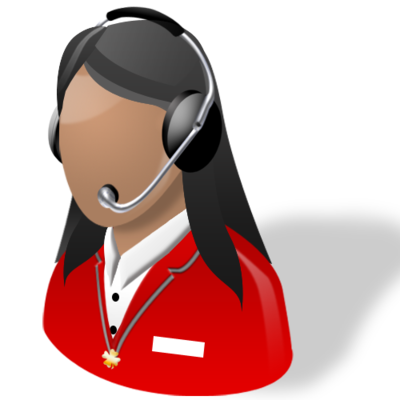 This may have a negative effect on one’s professional, social, and personal relationships. 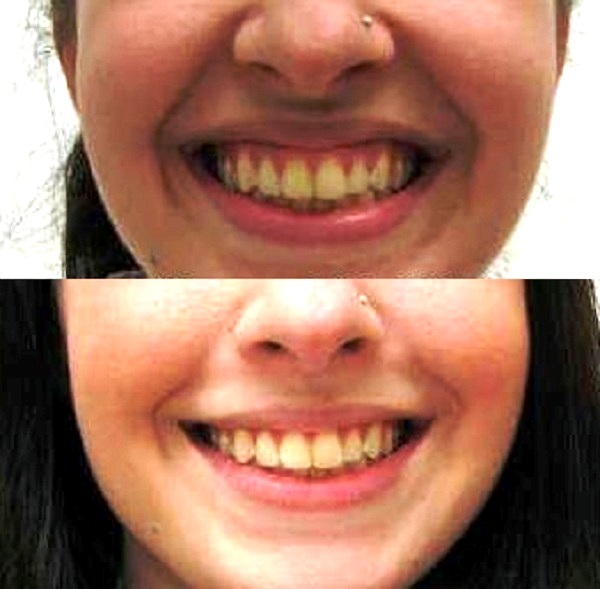 Thankfully, gummy smile reduction is now possible, simple and effective. Utilizing a non-surgical approach by injecting a muscle neurotoxin into the hyperactive muscle of the upper lip. 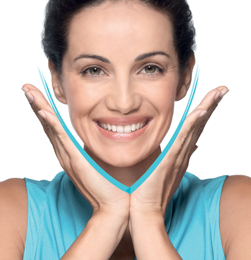 The injection will give you a smile that is natural and carefree. This simple procedure will weaken the hyperactive muscles and reduce the elevation of your upper lip, thereby reducing your inhibiting gummy smile. If a thin upper lip is a contributing factor, we may suggest simultaneous upper lip augmentation with soft volumising lip dermal fillers. The nationwide and Dublin based clinic procedure takes about 15 minutes. Dr Kahlout will apply a field block local anaesthetic, or plain ice, to numb the area prior to injection. A small amount of the medicine is then injected on each side of the lip to relax the hyperactive muscles’ ability to contract and pull the lip upwards. 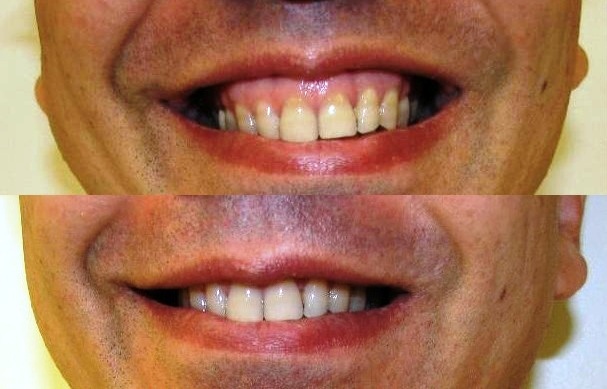 Within the next 3-4 days elevation of the upper lip is progressively softened and your smile is transformed, showing less gum and giving you the confidence to smile without inhibition. During your initial consultation, Dr Kahlout will examine your individual concerns and determine whether this procedure is right for you. It is preferable that you temporarily stop taking medications that may cause bleeding, such as vitamin A and E, aspirin, or aspirin-like one week before the procedure to reduce chances of minor bruising.